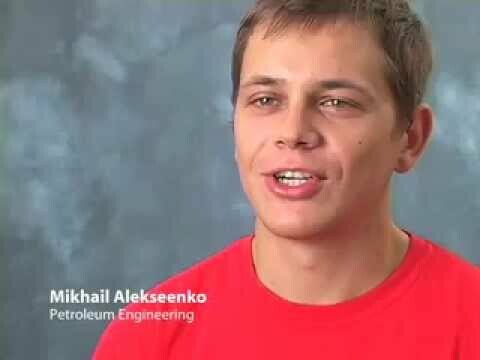 The Bachelor of Science in Petroleum Engineering (PETR) at the University of Houston is designed to cover fundamentals of drilling, petrophysics, production, and reservoir engineering, while also providing in-depth instruction in three specialty areas: reservoir, production and chemical engineering. 27 credits — UH core component of 27 credits required of all university students in Texas, (engineering math requirement adds 2 additional credits to the UH core). 48 credits — Engineering core, common to engineers, including additional mathematics, science, and fundamental engineering courses. 49 credits — Fundamental PETR, courses required of all students in the program major. 3 credits — Electives selected by the student from the approved list including creativity, data mining, and leadership and entrepreneurship. All students should consult with the masturm [at] uh [dot] edu (Petroleum Engineering academic advisor) to ensure their course selections meet the degree plan requirements. Admission requirements for the University of Houston’s Cullen College of Engineering are higher than University of Houston requirements. Please review both college and university requirements. A key advantage to studying petroleum engineering in Houston, the center of the world petroleum industry, is the proximity to leading energy businesses. Many of these businesses provide opportunities for student internships. The Engineering Career Center is the first point of contact for students seeking such internships.